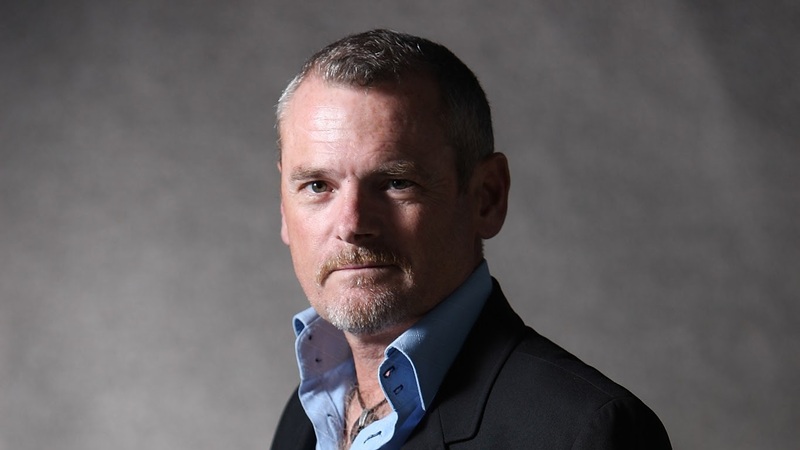 Joe Simpson (born 1960) is an English mountaineer, author and motivational speaker. He is best known for his book Touching the Void and the 2003 film adaptation of his book. In 1985, Simpson and climbing partner Simon Yates made a first-ascent of the previously unclimbed West Face of Siula Grande (6,344m) in the Cordillera Huayhuash in the Peruvian Andes. On the descent, Simpson broke his right leg and during the subsequent self-rescue in a storm, the two became separated. The climb was nearly fatal for both climbers and, upon returning to Britain, a misleading article in a national newspaper led to Yates being criticised for cutting a rope keeping himself and Simpson together. Simpson published an article in the climbing press shortly afterwards, and later wrote Touching the Void. There was also a documentary made called “Touching the Void” based on the book. Simpson underwent six surgical operations as a result of the leg injuries sustained on Siula Grande. The doctors told him he would never climb again and that he would have trouble walking for the rest of his life. After two years of rehabilitation, however, he returned to mountain climbing. Given my ambitions to hike to Mount Everest Base Camp, I naturally bumped into this climbing legend. Eventually. I watched the movie on that fateful Siula Grande climb and I was dumbfounded. The will to live was on full display. There is something so smooth and friendly in the way Joe speaks. After some time reading books that he’s read and watching interviews, I decided to reach out. Why not? I got in touch with Joe on Twitter and he couldn’t have been friendlier. I cannot share the tweets that we have exchanged out of a respect for privacy, but he’s a wonderful person with wonderful manners and outlook on life. He has a wonderful sense of humor as well. The events that transpired that changed his life happened quite a number of years ago. A tale he’s told too many times. But we connected a little bit. For me, to have someone of his character reply to me at all is a bit of joy. I’m some stranger in a strange land. Yet we’ve gotten on a minuscule bit. His status increased in my opinion. He’s since told me that I owe him a stack of beers for a favor that he promised for me. I hope that someday I can sit down in some dusty wooden teahouse somewhere and supply him with a stack of beers. I hope that someday I can sit down with Joe on squeaky stools in some dusty wooden teahouse and supply him with his desired stack of beers.